On the afternoon of 1 September, St. Peter’s, the English Church in Château d’Oex, was packed with friends and well-wishers. They had come to listen to a special concert in the church featuring Sara Marques and Jystyna Jarzab performing works by Bellini, Britten, Chopin, Dvoják, Gounod, Liszt, Mozart, Puccini, and Verdi. The Concert d’Amitié was a celebration of an important milestone in the restoration of this Anglican church, originally built in 1899. 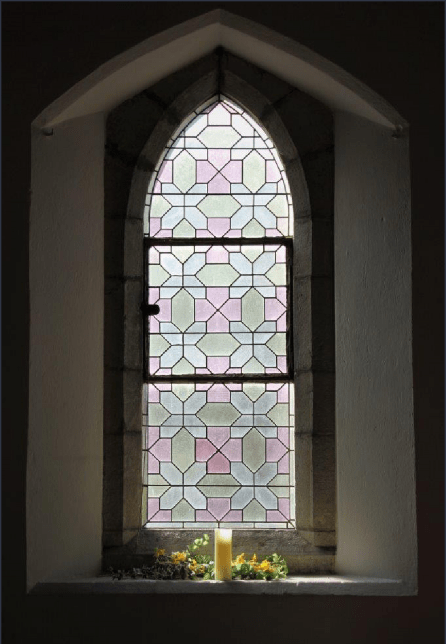 The concert was also an occasion to pay tribute to Hans Kilchenmann who worked so tirelessly in the previous 18 months to raise donations for the stained glass windows. Hans passed away in March 2018 and did not see the completion of this project. New heating elements have been installed under the pews with radiators along the North aisle. Energy efficient LED lights have been installed in the hall, nave, gallery and chancel. The entrance hall has been renovated. A new entrance features windows with hand-engraved drawings by the English artist Phillip Lawson Johnston. 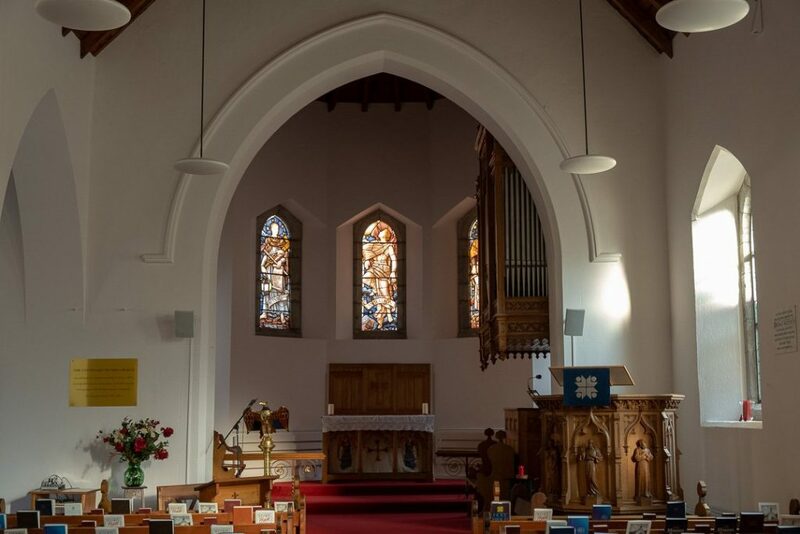 Funds have been raised for the three chancel windows. These will be restored in 2019 or 2020. Since St. Peter’s is completely self-funded, this major restoration was only possible thanks to many donors who made such generous contributions. All donations are welcome. Payments may be made in several ways. Please be sure to note in the comments field of whichever form you complete that your contribution is for “St. Peter’s Church Windows, Chateau d’Oex”. UK residents can make a contribution via the website of the Intercontinental Church Society (ICS) and claim Gift Aid. Please be sure to specify in the comments field that your contribution is for St. Peter’s, Chateau d’Oex, window fund.